Private Equity in France: The Best Way to Have Your Wine and Drink It, Too? I always like to learn about private equity in different parts of the world. …but that’s just not true. Not only are the questions and candidates different, but so is the process itself. 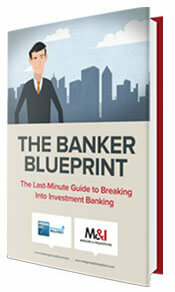 Previously, we looked at investment banking in France and saw that it was almost like working on a different planet. A: Sure. I have a background in tax law, and I did a few internships in that area in France. During my internship at a local law firm, I was exposed to a deal where an entrepreneur was selling his business to a private equity firm, and I immediately became interested in finance. I applied for a Master’s degree at a well-known school (specialization in Corporate Finance), completed mostly accounting and analytics classes, and then worked in the Leveraged Finance department of a large bank. 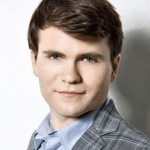 The French finance industry loves 6-month internships, so my internship was… 6 months. After that, I won another internship at a private equity fund, and then I moved to the U.S. to accept a full-time role in private equity there. Originally, I planned to win a full-time IB offer, but once you’ve worked in private equity, it’s hard to go back. Q: You mentioned that your story was unusual – how so? Go to one of the top 5 business schools there. Do M&A or consulting at a large bank, elite boutique, or Big 4 firm for 3 years. A few funds hire at the Analyst level, but it’s less common than in the U.S. or U.K.
Be a French national. Sometimes you see MDs or Partners from other countries, but at the junior level, you must know the language and culture. At the top business schools, almost everyone wants to do consulting or banking, and everyone has the same connections that they leverage to move into private equity. As your previous interviewee pointed out, finance firms also place an inordinate importance on your school’s prestige. Not only do they pay you differently depending on your school’s reputation, but some also pay different amounts depending on the degree you completed. Q: OK – so how did you win a PE internship if you didn’t fit that exact profile? A: The same way everyone else does: Connections from school and work. Private equity funds in France don’t hire too many full-time Analysts, but they like hiring interns, especially if the interns have already done banking internships. The way they look at it, you’ll need training for the first 3 months, and then you’ll be able to add value in your last 3 months there. It’s cheap labor! These internships are notoriously difficult to turn into full-time roles, which is one reason why I moved abroad. Q: I see. It’s eerie how similar the PE and IB recruiting processes there are. If you make it to interviews, what should you expect? A: You’ll go through 3-6 rounds of interviews, and they’ll ask the standard accounting, valuation, and LBO modeling questions. One difference is that they tend to ask more questions about the process, such as the purchase price adjustments a buyer might make, and how you might coordinate financing on a deal with traditional and non-traditional lenders. You also have to know the firm’s strategy in-depth, from industries to deal types. 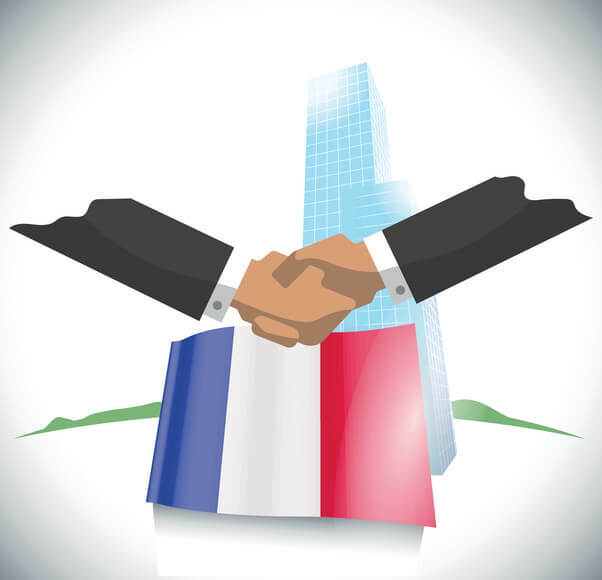 You must know French, but you also have to know English because there are so many cross-border deals; some firms even conduct ~20% of the interview in English to test you. Q: What types of case studies and modeling tests do they give you? A: The most common test is a “2-slide analysis” of a company. They send you a company via email, ask you to analyze it, and then create a short presentation on why you would or would not invest. Some of the larger and more international funds may give you traditional LBO modeling tests, but at the smaller/domestic funds, case study presentations are more common. On that note, what is the industry there like, and do the international funds or domestic ones dominate? A: There’s a mix of everything, but the international funds (KKR, Carlyle, Blackstone, etc.) tend to focus on large-cap deals. Domestic French firms focus on small-to-mid-cap deals, and many large European funds maintain a full team in London and a few people on the ground in Paris. A few of the biggest French funds by AUM are Ardian, PAI Partners, Bpifrance Investissement, Access Capital Partners, LBO France, and Astorg. For more data and firm names, please see some of the Preqin reports on French PE fundraising and deal activity. The traditional leveraged buyout is the most common strategy, but many of these firms operate small-cap and mid-cap buyout funds, as well as real estate, infrastructure, and debt funds. Funds of funds are also quite popular, especially at larger firms such as Ardian. There are a lot of industrial companies that are high-quality LBO candidates, but many of them are not in Paris – they’re in the middle of nowhere, which makes PE even more localized. Not only do you have to be French, but you also need to know the local region to do those deals. Common industries include industrials, business services, TMT, and luxury/retail. Deals involving energy companies are less common because many of these firms are too big for small and mid-cap PE funds. Q: Thanks for all of that. Are there any differences in the deal process and analysis? A: There are no huge differences; an LBO model is an LBO model anywhere. One difference is that traditionally, senior loans have been more common than more junior forms of debt such as unsecured bonds or mezzanine. For a long time, bankruptcy laws did not permit courts to enforce debt-for-equity swaps, which made investors reluctant to use junior capital. New laws have changed that, but alternative lending and mezzanine have still been a bit less common than in other regions. Firms tend to focus on different areas in due diligence as well. For example, social security in France is public, so firms don’t conduct due diligence on companies’ benefit plans, and they don’t do background checks as frequently as in the U.S.
Q: I see. What about the work environment and culture? A: You work less than in M&A or other investment banking roles, but facetime is still very important. At a big bank, you might finish up and go home around 2 AM; in private equity, you might finish around 11 PM, though you could easily stay past that if you’re working on a live deal. It’s easy to get stuck as an “eternal intern,” but it’s also very tough to advance when you’re on the job full-time. Turnover in private equity is low because most people get hired at the Associate or Principal levels, stick around to get carry as quickly as possible, and then plan to stay at the same firm forever. Hardly anyone leaves voluntarily, which is why it’s also tough to get a job in the first place. Some traditional funds don’t even grant carry to Principals, so many mid-level professionals leave to set up their own funds instead. Q: But you left to work in private equity in the U.S.
Was it because of the challenges you just pointed out? A: When you work in finance, there are 3 major centers: New York, London, and Hong Kong. I think you’re at a disadvantage if you’re not working in one of them, at least when you first start. But it’s less common for French students and professionals to work in NY or other parts of the U.S., and the experience helps you to stand out more. I’m working at a firm focused on cross-border deals (Americas, Europe, and Asia), and that was a big part of my decision as well: Even if something crazy happens in one part of the world, we’re at less risk because other regions might be fine. Q: I see. That makes a lot of sense! First of all cheers for all the good articles, keep it up mate. I was wondering if you could explain how much analysts work at Blackstone or Carlyle, it must be less than bulge bracket init? You work just as much, if not more, at those firms. Please see all the other articles about PE on the site.